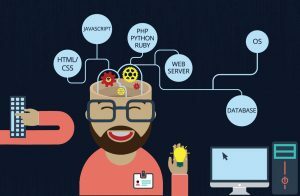 What Set OF Skills Are Needed To Be A Developer? Becoming a developer is not an easy peasy job. Before you signup for this job, evaluate yourself. Whether you have what it takes to become a developer and you can do the proper justice to the job or not, and if it’s a yes for consideration only then join a training institute. All you need a bright and shining future whatever career choice you make and not regret having chosen the bad one. 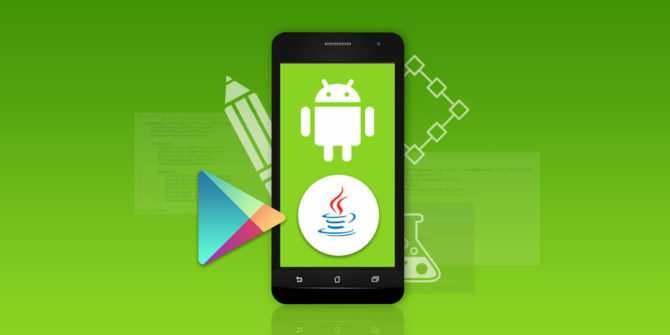 To help you make the correct decision and save you from making a bad one, here are some of the skills needed to become an Android or iPhone app developer. I am not telling you to need to be the Aryabhatta when it comes to maths. However, you need to know basic maths for learning and integrating development. 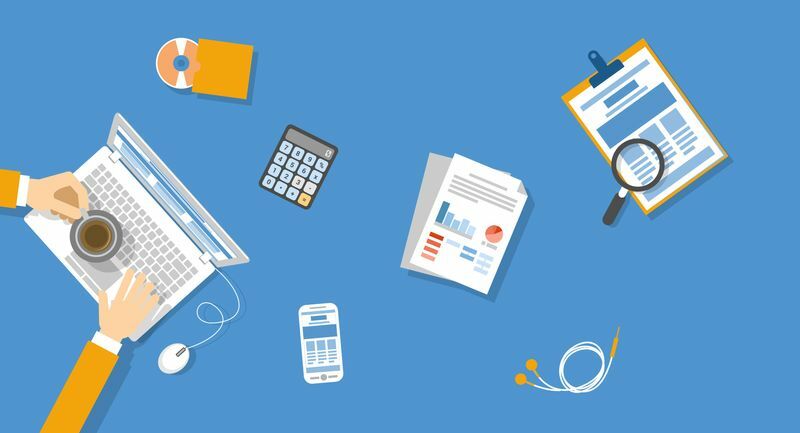 If you want to pursue mobile app development as a career, you need to have a basic understanding of arithmetic and algebra. You need to be technologically confident. Being a development means you are signing up to tie your hands around keyboard keys and eyes in the desktop. If you are slow or afraid of trying things with your computer, this might not be the job for you. Everything cannot be taught. Being a developer means you have to learn certain things yourself, search for the answers, and find your own errors. Google is right at our fingertips to search and get whatever we are looking for. However, there is a trick to find exactly what you are looking for and developers need to equip that searching skill. Being a programmer means you are doing something and you will stumble upon something totally different and learn something entirely new. There are infinite ways to perform a single task and the curiosity of finding and learning new things without being stick to something you already should be there. A developer should have that zeal inside them to try things, make mistakes, and learn from those mistakes. Opt for the Android or iPhone training program only when you have it inside you. Technology is an ever-evolving field. You just became an expert of something and soon that will no longer be in use. If this is a situation that frustrated you, don’t even say hello to being a developer, straight away say goodbye. You never know when will Kotlin be in trend and Java out and you cannot predict when it is Swift that has swiftly taken over Objective C. If you are always on the toes to learn new things, implement them at a faster pace and not complain about it, you are perfect to be a developer. 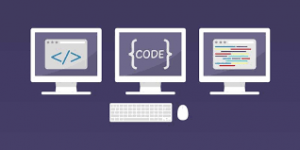 Coding needs to be written which makes writing skills one of the most important ones. Also, there would time when the developer has to make the client understand their work to the client. 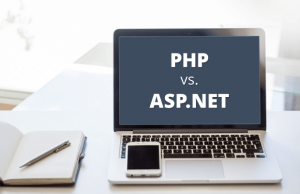 Now, the clients might not be technically sound and hence developer needs to have good writing and communication skills to make them understand. 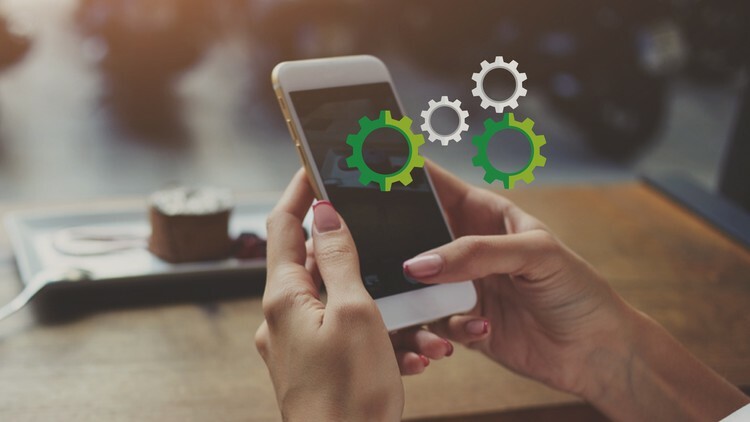 How Can You Choose The Right Library For Your App Development? We just discussed the pros and cons of using the third party libraries in the app development. Well, with that blog you must have decided whether the pros are heavier than the cons or not. If you think third party libraries are a good thing to use, the second question popping your mind would be how can you choose a reliable third party library? Now, obviously when using a third party library or not is a question, which one to pick and which one to ditch would be a bigger question. Don’t worry we are here to guide you. 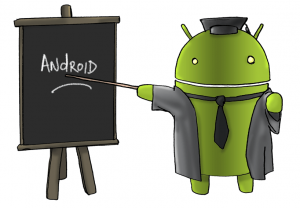 It’s better to know about the libraries during your Android or iPhone training. This will help you use them during your training and know how to deal with them and whether it is a really good idea to use them or not? 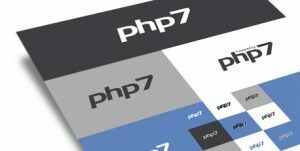 Let’s get started with how you can choose the correct library while development. Development platforms like GitHub have built-in crowdsource evaluation. Check on these platforms how much ratings have your chosen library has received. If the ratings are good, the next thing you need to check is that what are the problems reported for your library. If the library has support from a good amount of developers, it means the library is sufficiently popular and quality rich. Good and popular libraries have an active developers community. They make sure of their maintenance and growth. They will be on their toes to solve any issues arising in the library and keep it up to date for every new version. Such libraries are the best to use as they are never going to be abandoned. A background check on the author won’t be a bad idea. A reliable author won’t be publishing a buggy library. And of course, you don’t want to get stuck with a buggy and left out the library. Check whether the Author is active on Github? Whether he has only one library active or have multiple libraries published? Are they actively helping the user of the library with their issues? Do they fix the bugs or accept the pull requests? A library that has support from its author is supposed to stay here for the long run, remain stable, and have framework updates. You can’t check the quality or the performance without having any access to the library’s code. Hence, it is important for your third-party library to be open source. Also debugging wouldn’t be possible and the security risk involved without the transparency counts. The choice of the library also depends on the license it has. Certain libraries can have limited use license. Check that before you use it and then regret. For example, there are certain libraries which can have restrictions for commercial product release. If your app is a commercial product and you have used this library, it can be an issue. So, check the proper license of the library without fail. Good authors always document well. Check the code of the library and analyze how well structured it is. Check whether it has a well-structured README file or not. The integration will be easy and flawless when the library you use is well-written. This will also reduce the chances of bugs and crash. If the library you pick does not fulfill all the requirements of your app development project, you will need to tweak it. You better know that tweaking the library would take as much time as it will be needed to code it all by yourself. Also, if you pick a library that has too many features that are definitely not needed for the app is a bad fit for the app. Get your needs sorted very precisely and keep searching until you find the perfect fit. If you can’t find, write your own. Student life is the most complicated one but we always hear the opposite. You have a pile of confusion on your head and clearing them is a hell lot of difficult. I have passed through that phase and was in the same shoes as you are at this very moment. I can’t promise to show you the right path for your career. That only you can decide. What I can do is help you clear out some clouds of confusion to help you decide more clearly. The advice is free, take it if you like, leave it if you don’t. 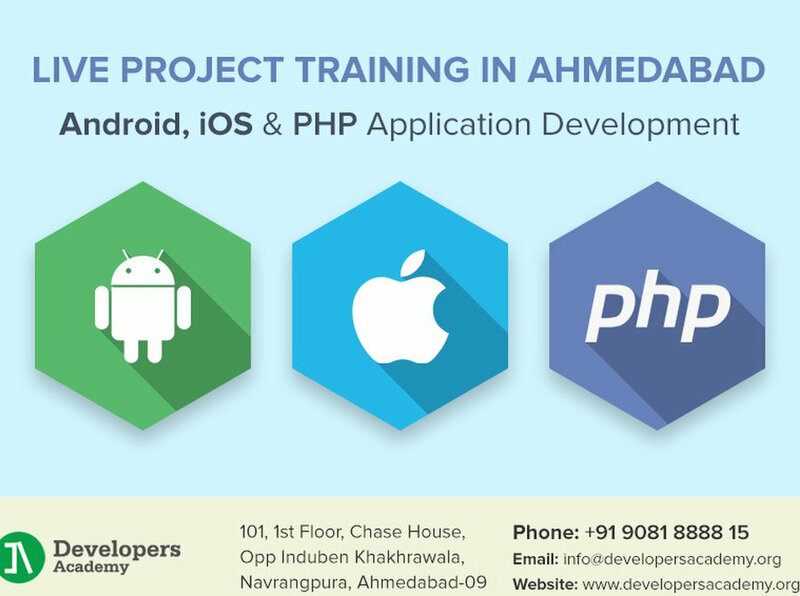 Let’s get started with the things to keep in mind while choosing your PHP, iPhone, or Android Training Institute. It is obvious the institute is not going to going to give you money, instead it will take yours. But, it is nothing less than a treasure hunt, it will be the first step through which you are going to make money for the rest of your life. The training institute will help you gain knowledge, skills, and probably a job. So, before picking anyone, make rigorous research, do a comparative analysis, take suggestions and opinions, and when you are 110% (+100%) sure, this is the one, join it. Well, I am watching many of the web series these days (Quantico to be precise) and hence these are the terms that revolve my mind these days. But, don’t worry I haven’t lost my mind and not giving you any irrelevant information. Investigate about the trainers, meet them and know how they are, how much experience they have of developing apps and teaching about the same to the newbies like you. It’s not the institute you should be worried about, it’s about who they have recruited to shape your future. 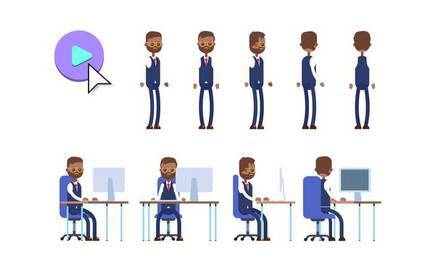 When any candidate appears for the interview in a company, the employer will first check the number of years of experience of him/her. They are paying money and they want to make sure, they are investing in the right resources. Before you stand at that place, you have got that chance. You are going to pay training fees and hence make sure the company has enough experience and you are investing in the right place to train and gain the most out of it. This is probably the best way to judge the institute you are choosing. Before they completed their training, they were just like you and knowing their experience can be of great use to you. You can predict how your training experience can be based on their experience. Learn both good and bad things about the institute you are looking for and judge based on their opinions. One of the major things you cannot miss out on is live project training. I mean what’s the point of learning those stuff which you can’t implement in real life. Live project training will help you implement anything or everything that you have learned during your course of training. I guess this much would be enough for choosing your training institute. Choose wisely and shape your career very carefully. How Much Time Is Needed To Learn Web Designing? For those who are standing at the verge of making their career choice and build a future is often in a hurry to not just learn but to finish the learning as quickly as possible and start earning money. I am not telling that is a bad thing. But, investing a month or two extra in something that is going to be with you lifelong is not a bad investment. 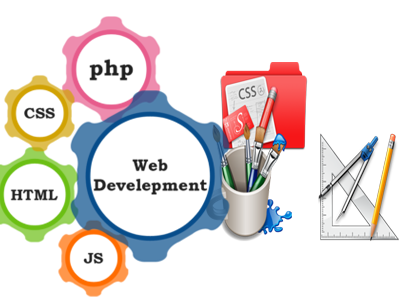 Web designing as a career is a great choice but you need to make your basics very clear and build a foundation which is very strong. If you are joining one of the reputed web designing training institute, they will have a course for 3 to 4 months to make you competent enough to face the IT world with the required skill set. Let get started with what exactly you will learn in that time span. Before moving to the advanced principles and designing tactics, grasping the basics is mandatory. The basic of web designing includes learning about what is a static page? What is a dynamic page? What exactly are the principles of web designing? What about the layout of the web page? Things to do and not to do in web designing. The deeper you dig about the web designing concepts, the better you will learn to design without any glitches. Designing trends keep on changing but the basic concepts will remain the same. Even though you are enrolled at some nice institute teach you every bits and piece, never forget self-learning. Watch the tutorial videos or read books or have a conversation with fellow designers to know new things. Learning three things in one month can fry your brain. But, what do you think if you are placed in one of the top companies post-training, you will be given just one project to handle at a time? If that’s what you think this job and career is about, you are mistaken. In the IT world, the web designer has to multitask and do multiple projects which is why the training institutes train you to do so. It is an image processing software developed by Adobe. It helps the designer to manage the pixels of the image, edit the image, and draw them as well. It is not limited to the above-mentioned things, there are others as well like text, images, graphics, videos, publishing, and many others. It is one of the most professional tools for designing accompanied by the fact that it is a bit complicated. It is an editor which has a really elegant interface, quite smooth operation, automatic syntax highlight, and rich plugins. There is IDE but for the ones who are on the verge of getting started, learning and implementing it is complicated and break your confidence. It is a web page prototyping tools and the good news is it is easy to learn. The drag and drop feature will make simple interaction very easy. It won’t be of any use if all the knowledge you have gained can’t be put into the practical use. So, once you are done with the learning, start implementing. Do a whole project on your won and I bet there are several difficulties you will face. This is where you transform yourself from a designer to a good designer. Bring as many queries as you can and ask your trainer to show different ways to solve them. This can be time-consuming but live project training is still a great way to implement your learning and still learn more. There are six principles which make a design a good one. Knowing them is important but knowing when they changed and what is the new one is important as well. I can help you introduce you with these key elements but constantly tracking them is your job.